The Chehalis Tribal Loan Fund provides loans to Firework Stand Owners on the Chehalis Reservation. This year they were able to provide 36 Firework Loans. This assisted stand owners in capital needed for inventory, wages, and buildings. Here is a quote from one of their Firework stand owners: “The CTLF has been great to work with! They have helped me not only consolidating my debt last year, but also helped with a small business loan this year. They offer great opportunities for tribal members to become financially stable. I look forward to utilizing CTLF for years to come”, states owner of BlackMagic Fireworks. 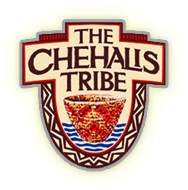 Thank you for all your hard work Chehelis Tribal Loan Fund! Native-owned businesses and business startups in Wisconsin have a true ally in First American Capital Corp (FACC). As a certified Native CDFI and SBA Microlender, FACC is the sister organization of the American Indian Chamber of Commerce of Wisconsin (AICCW). The AICCW was formed in 1991 in response to a core group of American Indian business owners who started this 501(c)(3) as a nonprofit membership organization that could advocate, organize, network, deliver business development services and otherwise represent the needs and demands of business owners and entrepreneurs throughout Wisconsin. 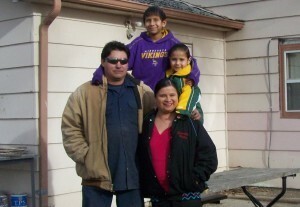 In 2001 a group of Native American business owners and active members of AICCW began to investigate forming an alternative, direct business-lending program in response to access-to-capital barriers experienced by Native entrepreneurs when attempting to obtain start-up and expansion loans from banks in both urban areas as well as at reservation business locations. Given the established working relationships of AICCW with state government program representatives, the AICCW was successful in obtaining seed capital – both revolving loan funds and operating capital – from the then Wisconsin Department of Commerce (survived by the current Wisconsin Economic Development Corporation). This initial AICCW Revolving Loan Fund organization was later split off from AICCW to form First American Capital Corporation, Inc. as a separate 501(c)(3). 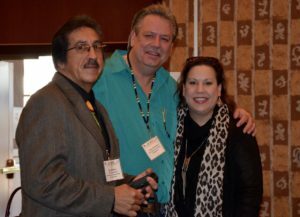 However, FACC retains a strategic relationship with AICCW to work in conjunction on the shared mission-driven focus of providing Native-owned businesses with access to capital, technical assistance, networking with essential business-development resources, and advocacy designed to build capacity and wealth in Wisconsin Indian business communities. The FACC was first certified as a Native CDFI in 2004 and then in 2007 became the first Native SBA Microlender in Wisconsin. 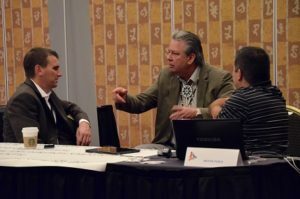 The FACC is fortunate to have a consistent, active, and engaged board of directors representing enrolled members of five different tribal nations – including some of the most successful Native business owners and tribal enterprise CEOs in Wisconsin. 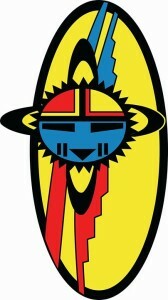 The FACC, like its sister organization, is not directly associated with any one tribe. This provides independence and objectivity in the delivery of our collective loan products and development services. Currently three employees allocate time between AICCW and FACC operations. FACC has about $3million in assets and is following a strategic growth plan that aims to reach $5million by 2019. The AICCW and FACC Milwaukee County location not only facilitates representation of the significant percentage of American Indian-owned businesses located off reservations, but this urban location is close to the offices of local, state, and federal government program representatives and key corporate/funding organizations. The FACC has developed ready access and positive working relationships with essential business/economic development decision makers and resources in Wisconsin, leading to diverse funding partners including foundations, banks, city agencies, state agencies, tribal partners, and federal programs designed to provide financial assistance and development services support for intermediary lenders. Most recently FACC entered into a strategic collaboration with three of the largest certified non-Native CDFIs in the state – named Invest In Wisconsin – with initial funding provided by JP Morgan-Chase Partnerships for Raising Opportunity in Neighborhoods program initiative. Equally important is the broad local, state, tribal, federal business-development resources network in which FACC participates and assists in delivering to Wisconsin Indian Country entrepreneurs and Native business owners. 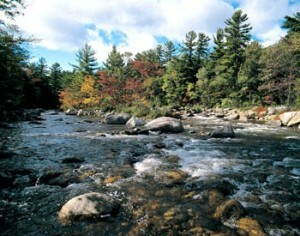 Close working relationships advanced by FACC now include, for example, direct access to the Wisconsin Department of Transportation (WisDOT) – DBE Support Services and the WisDOT Inter-Tribal Task Force (see: http://wisdottribaltaskforce.org/ ). 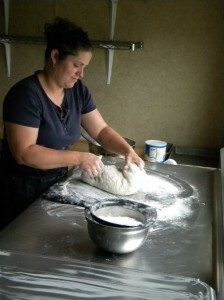 The mission of First American Capital Corporation (FACC) is to perform economic development activities that benefit Wisconsin’s Indian Country by increasing access to capital in the form of business loans, providing technical assistance services that strengthen the skills of Native entrepreneurs, and by advocating for Indian owned businesses to create new business opportunities — both on and off federally recognized reservations. Prior to applying for financing from Four Directions Development Corporation (FDDC), Awendela Dana was not aware of any lending options for on-reservation properties. She heard about FDDC through word-of-mouth from other tribal members on Indian Island. Ms. Dana’s initial reaction was that FDDC was an innovative approach to allow tribal members an opportunity to purchase, improve, and access equity from, residential properties located on-reservation. In 2008, Ms. Dana returned to FDDC to refinance the loan into her name only. She had recently graduated from the University of Maine with a Masters Degree in Social Work. FDDC approved the refinancing request and it closed on August 7, 2008. Ms. Dana was thrilled, “it was all mine and in my community! My mother taught me the importance of being able to take care of oneself and to not be dependent on anybody. It is so important to take care of yourself and be able to provide for your family. In the fall of 2013, Ms. Dana returned to FDDC to request a home improvement loan to replace her roof. FDDC approved the request and closed a home improvement loan on January 14, 2014. Ms. Dana is the Child Support Program Coordinator for the Penobscot Nation Child Support Enforcement Department and she “LOVES FOUR DIRECTIONS! She is extremely thankful for all of the help FDDC has provided. The Hopi Credit Association was formed on May 1, 1952, by a group of Hopi Individuals as a re-lending program to members of the Hopi Tribe. The Hopi Credit Association’s goal is “To carry out the business of borrowing money, and re-lending it to members for their economic improvement and activities related thereto”. 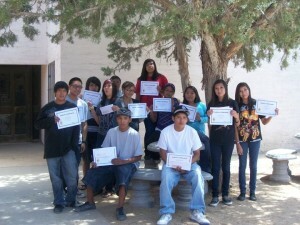 Each year, Hopi Credit Association holds a Financial Literacy Camp for Hopi youth enhancing the financial education of our tribal members from an early age. On April 13, 2011 the Yurok Tribe finalized the purchase of 22,237 acres of land from Green Diamond Resource Company in Humboldt County, California. The land, part of the Yurok’s aboriginal territory, will be sustainably managed for clean water and forest health. The deal is the result of 23 years of negotiations between the Tribe and the timber company to recover the land, starting with the Hoopa/Yurok Settlement Act of 1988. The Tribe worked with several partners, including the Western Rivers Conservancy, the State Water Resources Control Board (SWRCB) and the Indian Land Capital Company, to complete the purchase. In December of 2010, the SWRCB voted to authorize $18.75 million in financing for the Yurok Tribe to purchase the land. Indian Land Capital Company provided the Yurok with a $1 million bridge loan in 2009, and an extension of the loan through a line of credit in early 2011. This allowed the Tribe to make a good faith purchase of 5,500 acres from the seller as they waited for the state financing to come through. The land purchased will become a Yurok Tribal Community Forest. The Tribe plans to use a sustainable forestry management approach that will protect salmon, improve water quality and restore meadows that traditionally supported subsistence hunting and gathering. In addition, the Tribe will work to further enhance three tributaries to the lower Klamath River that flow through the property: Pecwan, Ke’pel and Weitchpec Creeks. These creeks provide vital cold water and spawning grounds for the many anadromous Klamath fish species. This land purchase is the first in a multi-phase land acquisition project. In Phase II, the Tribe plans to purchase an additional 25,000 acres, including the lower watershed of Blue Creek, a stream that is sacred to the Yurok and essential to the survival of Klamath River salmon. 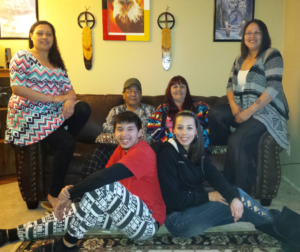 CASS LAKE (MN) – When Leech Lake Financial Services (LLFS) first offered its two-hour “Credit Building on the Rez” training, Robin Williams was the first participant to register. Robin was tired of paying rent. Year after year, she bought into the mentality that home ownership could not be achieved by Reservation Indians. Mortgages were too hard to attain. “You’ll probably get denied anyway,” was the prevailing advice for those dreaming of home ownership. However, in 2013, Robin learned the fundamentals and basics of credit from the “Credit Building on the Rez” course and became inspired. Simple basics of credit taught her that she could own a home someday, after just a little work and some small changes. Next, Robin attended “Building Native Communities: Financial Skills for Families,” at LLFS. The two day class taught her budgeting, saving, and basic banking skills. “We role-played a loan officer which taught me what loan officers look for to approve loans,” said Robin. She went to work, applying the skills she learned in class, and continued to work hard in her job for the Leech Lake Reservation Building Maintenance Division. As an LLFS client, her small loans with LLFS reported excellent payment history to the major credit bureaus. Relatively quickly, her credit score increased. Then, Robin was able to buy a reliable car with a low-interest auto loan. She did not miss a single payment, bolstering her credit score even more. With a little saving, and some small changes in her spending habits – it happened. Robin found a home she wanted. In less than 24 months of taking her first credit class, Robin was approved to buy the home because of her newly acquired strong credit. She happily lives there today. 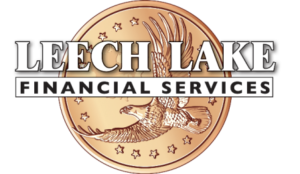 Leech Lake Financial Services is an emerging Native CDFI located on the Leech Lake Band of Ojibwe Reservation. Since 2012, LLFS has made over $1 million in consumer loans and report positive credit history for approximately 250 Leech Lake Community members every month. LLFS began offering commercial loans in 2015 and has trained over 300 Leech Lake Community members, like Robin, through their monthly training sessions. Pine Ridge Housing Loan Fund Approves Loan for Storm Shelter Mazaska Owecaso Otipi Financial (Mazaska), a housing loan fund based on the Pine Ridge Indian Reservation, recently approved a loan for home repairs and building a storm shelter (basement). Borrower Eileen Whirlwind Horse explained, “Mazaska’s home improvement program helped me repair my home and also build a storm shelter (basement).” She stated, “I am very grateful for their assistance. Without it, I don’t know what I would have done.” Created in 2004, Mazaska is a certified Native Community Development Financial Institution (CDFI) that makes loans to qualified members of the Oglala Sioux Tribe living on, or in communities adjacent to, the Pine Ridge Reservation. 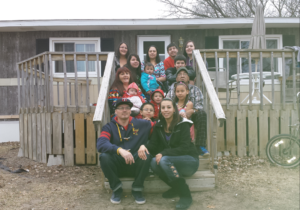 Mazaska’s vision is to help the Lakota Oyate (community) regain their rightful status living in a clean, comfortable, safe and sustainable environment by providing homeownership opportunities. Mazaska uses the funds it raises to provide mortgage loans, home rehab loans, credit builder loans, and interim construction loans. “While most of Mazaska’s loan are for home purchase, I’m glad that Mazaska has started to make home improvement loans,” stated Colleen Steele, Mazaska’s executive director. “They are meeting a real need in our community, and by funding storm shelters, we can help community members improve the safety of their homes.” In order to qualify for a housing loan from Mazaska, potential borrowers must complete an application, meet qualification requirements, take financial education and homeownership classes, and work with a loan officer. Thank you NACDC for the financial help and making it possible to follow this dream. 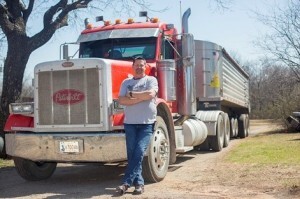 I’ll share a bit of my story so others may learn how to start a small business. I worked intently with a local artist (Gerald Trombley) to draw the small girl in each tin. This drawing came to my mind as an inspiration to write a children’s book. But in time I decided to use the drawings to add an additional line to my “All Natural Herbal” business. “Red Root Herbs”. With this in mind I chose to purchase a small round tin to hold a new line of products. Mind you, I had begun by spending hours and days searching for companies who offered quality and price efficient products that I could financially afford. I tried my best to hire our local people as well as utilize American made products. However this was not always possible to start this small business, so I searched the world on the internet. I looked everywhere to find a local Graphic Designer to design the tin and box. I wanted the design to compliment my culture. I chose the name “Naamoo” as it translates to “Bee” in the Blackfoot language… the base of my product is Beeswax. After several months I finally found a company (Odesk) online that hires people all over the world to do many things. I really lucked out to find a gal in Bulgaria who I worked with over the last several months to get just the right design. This was time consuming and she was very patient with my many ideas. We went back and forth each day, and in the long run… together we finally accomplished a great design. After a full 9 months and searching for just the right tin to put my herbal product in (learned metric sizes) I then came across a company in China and once again lucked out and found just the right gal who I worked with to find me the right tin and in time her company placed the label and information on each tin. I also had to spend time in finding barcodes, patients and additional information, I wanted to go on the box. Now it was time to find a company that would design the box to fit the small tin in, and once again I found an amazing gal with a packaging company in Japan who helped me over the course of two years to get just the right box with the design. She had already begin to correspond with my graphic designer in Bulgaria, the tin company in China to get the right size box and design. By now we were all working together, like old friends to insure the packaging was attractive. Like old friends we had our moments of frustration and I am embarrassed to say, a little anger on my part. God bless these patient people because we learned together. This is what made all of my business dream come to fruition. I went to the NACDC office and talked with another very kind lending officer (Patty Gobert). She helped me with a loan to make this dream possible. She was extremely helpful when I found I didn’t have the money to pay for shipping, so she gladly gave me another small loan for this. I found it very difficult to learn all about shipping from other countries. This was the most stressful part of this business. I learned it cost a lot of money to have the products shipped by boat and once the items got to the port of Seattle I had to find what is called a forwarding agent for the items to clear customs (very expensive) With an additional cost they helped me find a trucking company to deliver the packages to my home. All 48 boxes on two crates. All together this took around 2 months and nearly $3,000 shipping from China to my place of business. I don’t think friends and family quite knew what I was talking about when I would share my excitement, frustration and story about my new packaging adventure. However they were there to listen. I’m thankful for their support, especially my Son-in-law…who would cuss when I became upset over the shipping process. Now that the packaging has been delivered I may have to hit the ground running to create each product that goes inside. “All Natural” Medicinal, and Aromatherapy Herbal Balms. Excited to say the least. From the Blackfoot reservation to Bulgaria, China, Japan we finally got it done. I can take great pride in my product as well knowing it is possible for others to do follow their dream to create a small business. All it takes is a lot of patience and hard work which can be a really fun adventure. All together this venture cost around $18,000 but once I get to selling to retail outlets and mail order I will make a lifestyle that will not only help me financially but will enhance the lives of others. I will also have a business to share and pass on to my children. I am sending a photo of the packaging products that I have spent nearly 3 years planning, designing and working nearly every day on. I now have an excellent product that I can be proud of. Thank You NACDC for making my business venture possible. Pauline Matt prepares a batch of deep healing skin salve in her home outside Browning. The salves are the result of two years of gathering, drying, extracting and blending plants. Photo Courtesy of Montana Native News Project. Wylon and Beth Plain Feather and Walter and Sheri Duffield took a courageous leap in 2009. In the middle of a recession, they opened Plain Feather Construction (PFC), a construction and excavation business in Billings, Montana. To launch their business, the partners leveraged their talent, experience, and excellent tribal connections with a state certification as a Disadvantaged Business Enterprise, which is available to minority and disabled business owners. The business moved along steadily until the spring of 2011, when massive flooding left much of the town of Crow Agency underwater, and PFC was called upon to repair the damage. This launched PFC’s growth and continued contracts with Crow Agency, but it also increased PFC’s heavy equipment needs. At first, rental equipment filled this need, but as demand and rental costs continued to grow, the company needed to purchase their own equipment. 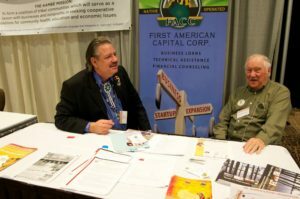 As a relatively new business with few assets or collateral, PFC was not eligible fo r a bank or equipment loan, so they turned to the Native American Development Corporation (NADC) in Billings, a community development lender that specializes in lending to Native American-owned businesses. 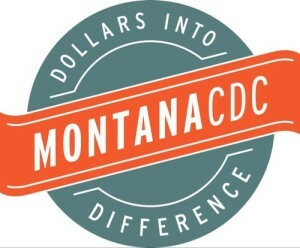 Montana CDC and NADC have a strong partnership, so when NADC was not able to provide all of the financing that Plain Feather needed, they turned to Montana CDC for a partnership loan. Looking at the borrowers’ industry experience and good contracts with Crow Agency, NADC and Montana CDC were able to provide a partnership loan that allowed PFC to purchase the much-needed equipment and acquire a healthy line of credit to ensure that the business will have the means to stay agile in the face of future opportunities. 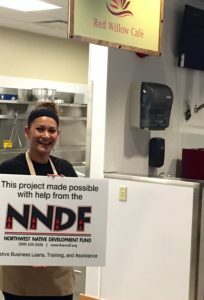 Thank you, Northwest Native Development Fund, for creating access to capital for small business owners in the Pacific Northwest! 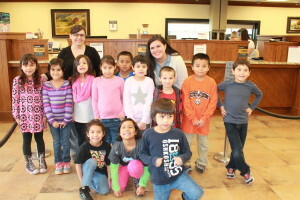 The visit, for all students in Kindergarten through 6th grade, allows access to part of the bank not always seen. Students are able to peer behind the big vault doors, talk to customers in the drive thru, help bank employees count money, and most importantly make their deposits into their savings accounts. Since 2013, 47 students at New Kituwah Academy have been regularly contributing to their savings accounts through bimonthly deposit days where First Citizen and Sequoyah Fund staff visit the school to take deposits and talk to the students about money and savings. New Kituwah Academy is an independent school of the Eastern Band of Cherokee Indians where all instruction is done in the Cherokee language. Most students have been attending the Academy since infancy. In total there are approximately 60 students enrolled in K-6th grade. For the savings program, Sequoyah Fund works with staff and the students to discuss both the traditional and modern concepts of savings and how money works within the Cherokee community. Students also set yearly goals, how much they want to save, and what they are saving for. When the school year ends this May participants will have contributed over $5,5600.00 to their accounts. To incentivize the savings, Sequoyah Fund seeds each new account with $25 and adds an additional $25 if students meet their savings goal, making 10 $5 deposits between September and April each year. In total, Sequoyah Fund has contributed $2,100.00 to the program. 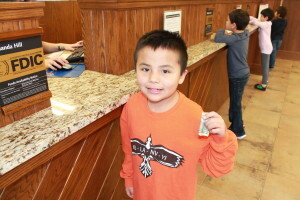 For most students the annual bank visit is their first time at a bank, but they handle it like professionals, forming lines at the teller counter, counting their money, and receiving their deposit slips. Then it is story and snack time where the kids listen to Cochran as she reads a story about why it is important to save. A tour follows and each student learns how the bank keeps his or her money safe. They watch as an electronic bill counter quickly counts $500 but their favorite part is watching themselves on the security monitors. Checking their balances, several students find they have more money than they expected, so we talk about how interest works and how that is a benefit of using a bank. The Kituwah Savings Program is a joint effort by Sequoyah Fund, First Citizens Bank, and New Kituwah Academy. Sequoyah Fund is a Native Community Development Financial Institution (CDFI) serving the far western counties of North Carolina. 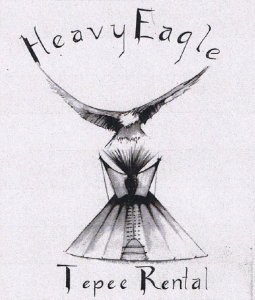 Heavy Eagle Teepee Rentals, owned by Lloyd Tillman Jr., is an existing business that operates from the Wind River Indian Reservation. The Wind River Development Fund has provided services to Lloyd for three years, including: lending, business and consumer assistance. Lloyd participated in and completed the IDA program that the Wind River Development Fund sponsors by matching $3/1. Lloyd has since used the proceeds to improve his business by paying off his loans and to make purchases to expand/improve his business.